XXIII World Congress of Neurology (WCN) brought together scientists, public health experts and policy-makers to translate the most recent scientific advances in the field into actions. The event was set to address how to improve global treatment standards considering the ongoing economic demands.
" One of the WFN’s most important goals is to help by bringing improved neurological care worldwide.	" The event challenges came from its external environment. With North Korea launching test missiles over Japan there was a heightened political situation in the region threatening the delegate numbers just a few weeks before the event opened its doors in Kyoto. And the expected delegates were not a few. With forecasts of up to 6,000 people, months before the event the numbers went over 8,000. And to top it all, during the event, an unexpected typhoon struck Kyoto. Knowing prior to the event that the political situation in the region was going to bring challenges and many questions from delegates, the scientific committee together with the Kenes team, prepared a clear direct communication to ensure everyone felt safe and was well informed of what was happening. All security procedures were heightened onsite, and the delegates were warned in advance. 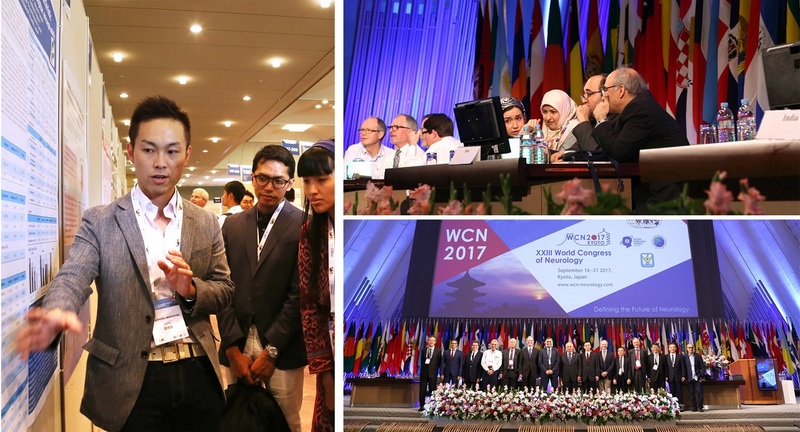 Despite the political situation, more than 8,600 people from 121 countries attended WCN showing that no externalities can disrupt the advancement and collaborations in the field of neurology. Proper planning before the event and collaboration with all suppliers was key to bring a comfortable and safe experience for all delegates. The overflow sessions were expanded into four additional halls with live broadcasting, providing ample solutions for everyone onsite. When the weather forecast showed the possibility of a typhoon hitting Kyoto during the event, the team worked closely with all local partners to ensure the safety of the delegates. With a comprehensive crisis management plan, there were no issues during the event, even if the conference centre suffered a few shattered windows near the poster area. With the venue’s fast reaction, only a few delegates were aware of this issue. Japan is known for its impeccable service delivery and the outstanding success of WCN 2017 is a testament to this. The Kenes team had the firm support of all local suppliers who were quick on their feet and together we found solutions to all challenges onsite. The result was over 8,600 happy delegates who managed to focus on the event and advancing the field, without concern about the externalities. The renowned scientific programme, among the many outstanding speakers, featured three Nobel prize laureates who addressed the audience. WCN neurologists showed that a top scientific programme will always be a top motivator, especially with the flawless organisation behind the event. The Kyoto conference was the largest WCN to date. 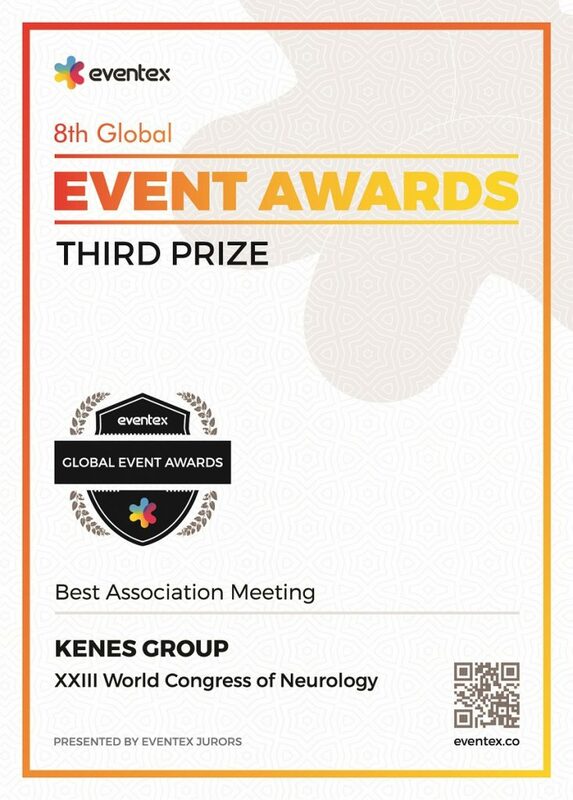 The XXIII World Congress of Neurology is the world leader in its field. For its exceptional execution overcoming all challenges, it took third place in Best Association Meeting at the 2018 Eventex Awards.